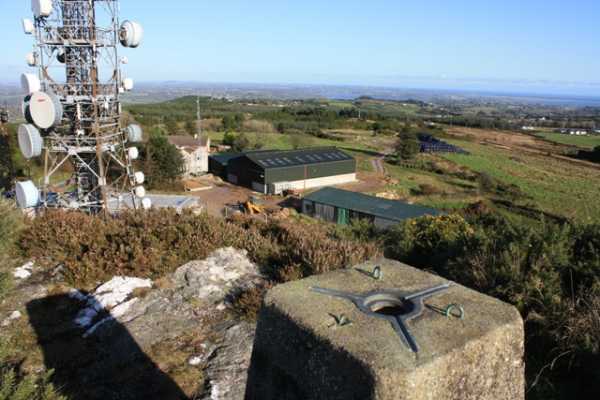 Forth Mountain commands fine views of the surrounding Wexford countryside and coast, including Wexford Town and out to the Saltee Islands. Forth Mountain also gives views out to Tuskar Rock, which is said to be responsible for more shipwrecks than any other Irish coastal feature - one hundred and seventy-six shipwrecks are attributed to it. Also in 1968 an Aer Lingus plane crashed near it with the loss of all 61 people on board. Forth Mountain is farmed almost all the way to the summit, making access difficult. 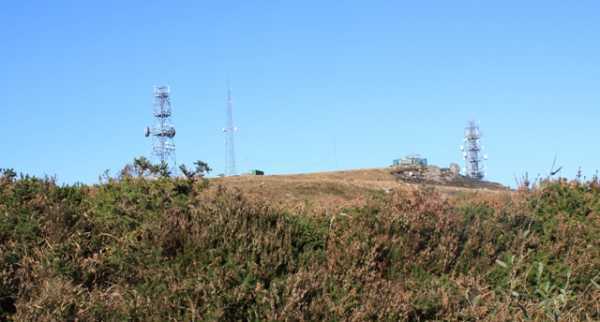 There are a number of masts and communications towers at the summit and the most obvious access track passes through private land and a farm. The access track to the summit through the farm starts at S984 196 A, although the owners have requested no access due to fears of livestock getting loose or their farm being blocked. The best thing is to try and speak to somebody, and if you have no luck respect their wishes and navigate around the hill to another access point. There is an alternative approach through forestry tracks to the south of the hill that can be found by following the road that contours the hill at about 200 metres altitude. 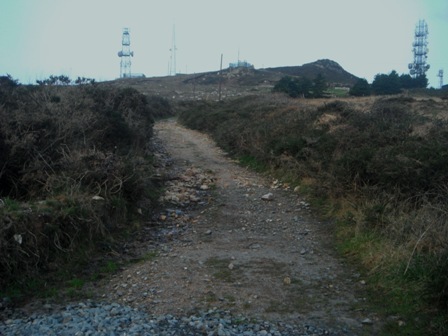 Forth Mountain lies a few kilometres SW of Wexford Town. Mountain is a bit of an ambitious addition to this hill's name as it is one of the 50 smallest hills on MV. (Out of the current 1054 listed). It is a small ridge of upland about 1.5 kms long stretching NE SW. It has two summits, with the highest point at the NE end. The southern half of the ridge is covered in forestry and I didnt go there. From the top the views are magnificent and include Wexford Town, Rosslare harbour and the wider coastal area. The Saltee Islands were visible to the south east, and the Blackstairs to the north. Out to the west I could see some low hills including Slievecoillte and Carrickbyrne Hill near New Ross. A friendly farm dog joined me at the summit and accompanied me back down the track past the farm to my car. I think information about public access to this hill would be badly needed but I couldnt find out on this occasion.